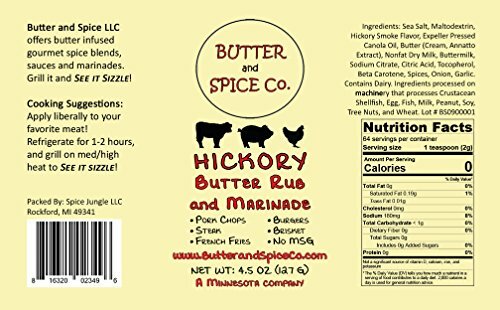 Home / RUBS & SEASONINGS / Butter and Spice Co. BBQ Enthusiast’s Butter Rub Combo Pack- Spice Set for Pork Chops, Pork Ribs, Steak, Brisket, Burgers, Pot Roasts, Pork Shoulder and Pork Loin, Beef Ribs, Chicken and Turkey. 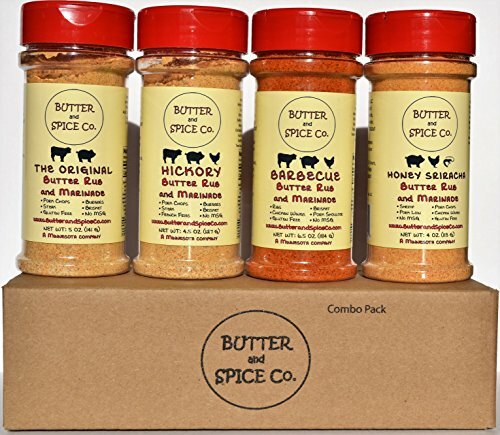 Butter and Spice Co. BBQ Enthusiast’s Butter Rub Combo Pack- Spice Set for Pork Chops, Pork Ribs, Steak, Brisket, Burgers, Pot Roasts, Pork Shoulder and Pork Loin, Beef Ribs, Chicken and Turkey. The Original Butter Rub-This zippy steak rub infuses real butter for a smoother tasting rub. Bold garlic, a touch of heat and hints of fennel round out this delicious seasoning. Hickory Butter Rub- Light smoke flavor for a delicious finish. 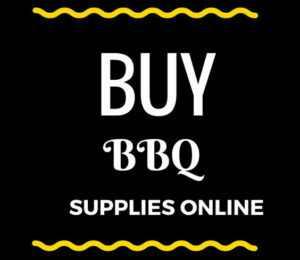 Barbecue Butter Rub- Enhanced with real honey and molasses powders to replace much of the sugar normally found in BBQ rubs for a more natural sweetness. 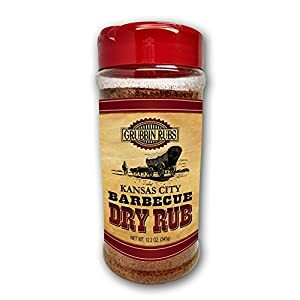 This rub was originally formulated for smoking pork ribs and pork shoulder. It is delicious on brisket also! 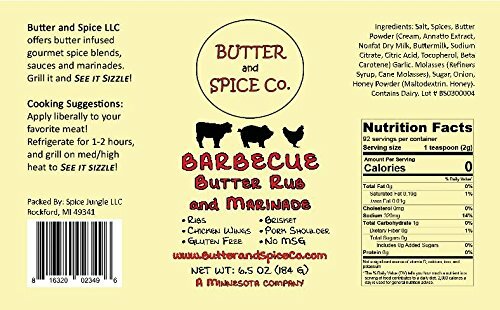 Butter and Spice Co.-The BBQ Enthusiast’s Butter Rub Combo Pack includes 4 of our hottest steak, pork, chicken and seafood rubs. Butter and Spice Co. combines top quality spices with real butter to create smoother versions of your favorite blends. Lower in salt than other rubs, we do away with the need for oil, mustard, or liquid butter whilst allowing the meat’s own juices to soak up the spices. A superb present for any BBQ enthusiast. Combo pack consists of four-8.4fl/oz containers. SEE IT SIZZLE!—–The Original Butter Rub- This zippy steak rub infuses real butter for a smoother tasting rub. Bold garlic, a touch of heat and hints of fennel round out this delicious seasoning.—–Hickory Butter Rub- This zippy steak rub infuses real butter for a smoother tasting rub. We took The Original Butter Rub and Marinade and added smoked hickory salt for a smokier flavor. 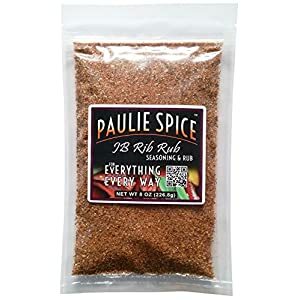 Bold garlic, a touch of heat and hints of fennel round out this delicious seasoning.—–Barbecue Butter Rub- Enhanced with real honey and molasses powders to replace much of the sugar generally found in BBQ rubs for a more natural sweetness. 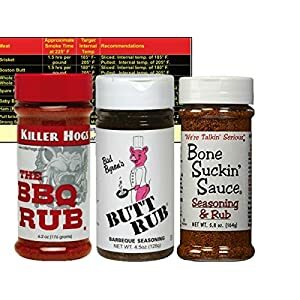 This rub was once in the beginning formulated for smoking pork ribs and pork shoulder. It’s delicious on brisket also!—–Honey Sriracha Butter Rub- Honey and Sriracha, what a wonderful combination. Sweet and Spicy! Real honey powder is used in harmony with chili pepper powder and other great flavors to create this multi-purpose rub! 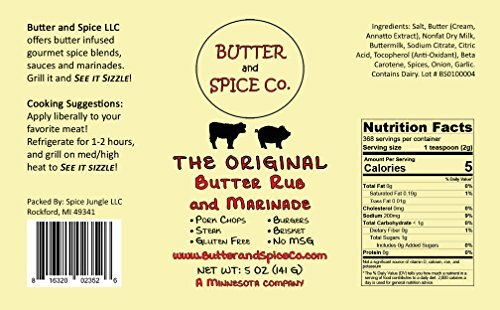 Barbecue Butter Rub- Enhanced with real honey and molasses powders to replace much of the sugar generally found in BBQ rubs for a more natural sweetness. 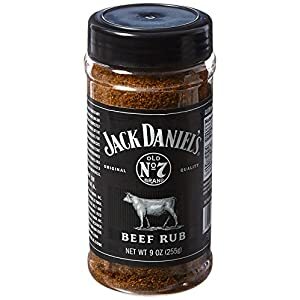 This rub was once in the beginning formulated for smoking pork ribs and pork shoulder. It’s delicious on brisket also! Honey Sriracha Butter Rub- Honey and Sriracha, what a wonderful combination. Sweet and Spicy! Real honey powder is used in harmony with chili pepper powder and other great flavors to create this multi-purpose rub! All products are MSG free, all but Hickory Butter Rub are GLUTEN FREE.